I was a container user from some years, mainly for developing .NET applications for the cloud or on cross-platform environments. Personally, actually I’m using a lot NAV on Docker containers mainly for development and demo purposes. In few minutes, you’re able to have a fully working NAV environment that runs on an isolated environment on your local system ready to go, with the NAV version (and cumulative update) you want. And you can have as many containers as you want (or as your system’s resources permits). I’ve received questions regarding running NAV on Docker on Azure and the answer is yes, you can run the actually available NAV containers also on Azure. The easiest solution is a service called Azure Container Instances. 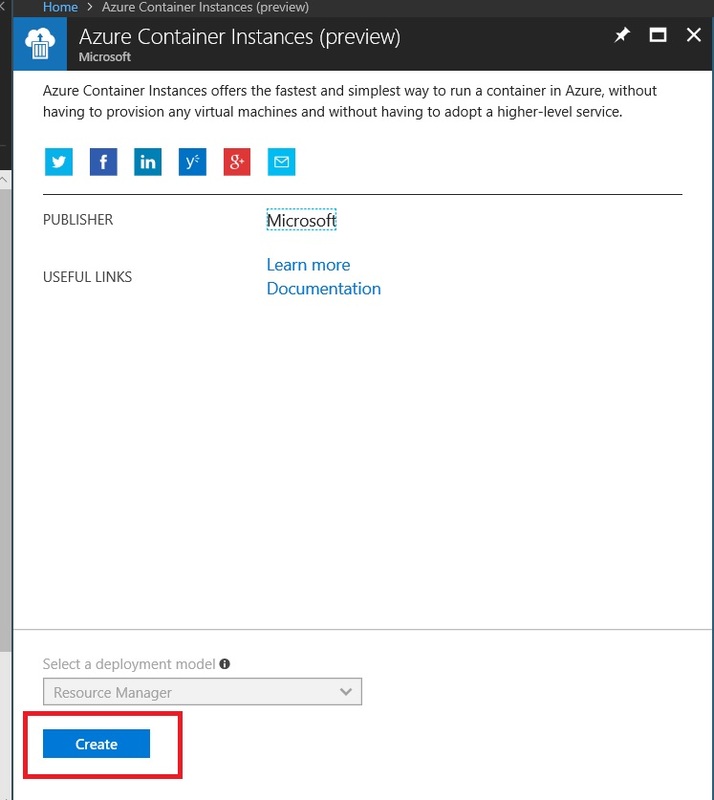 Azure Container Instances makes it easy to create and manage Docker containers in Azure, without having to provision virtual machines or adopt a higher-level service. An Azure Container Instance is a single container that starts in seconds and is billed by the second you use it. The steps are really easy. From your Azure Portal, if you’ve not yet created, create a Resource Group for your container (I recommend to create one for every instace you want to run). After some minutes (pulling and extracting the image takes some time), your NAV container will be provisioned on Azure Container Instance and you can see it’s status and IP address directly from the Azure Portal. To access NAV, just open the browser and navigate to http://<containerIP>/nav. This command creates a NAV container based on the NAV 2018 CU3 Italian image using 2 core and 4 GB of RAM. The --dns-name-label value must be unique within the Azure region you create the instance. Obviously, the folder where you place the NAV license file must be accessible from Azure. I’ve been able to get the Web Client and AL development successfully running as a container instance. As an aside: I used the mcr.microsoft.com/businesscentral/onprem:cu5-de-ltsc2016 image since ltsc2019 seems to have problems as of now. One question: Is it possible to connect via C/SIDE and RTC as well? If so, how would it be done?